From Carricante and Catarratto grapes harvested by hand in an old bush-trained vineyard on the northern slope of Mount Etna comes this elegant Etna Bianco. Rich in floral and fruity aromas, in the mouth impresses with its flavor and freshness typical of volcanic soils. 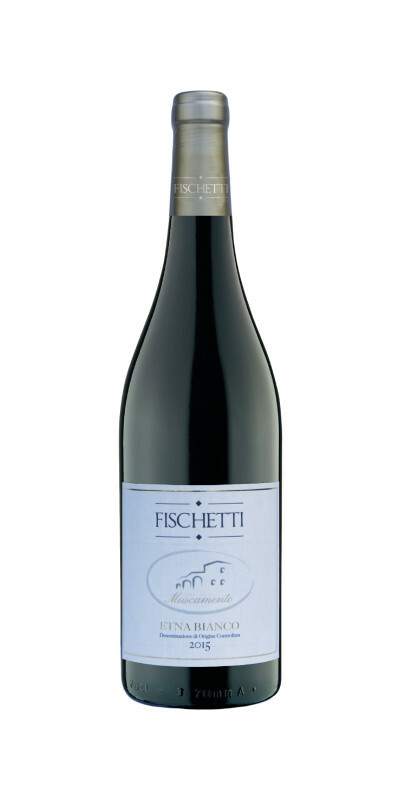 Excellent as an aperitif or with fish-based dishes and mature cheeses. VINIFICATION: In stainless steel with temperature control for about 20 days. AGEING: In stainless steel in contact with the fine lees for 6 months. ORGANOLEPTIC PROPERTIES: Straw yellow color, floral, with fruity and mineral notes. Balanced, fresh, quite soft and persistent. IDEAL SERVICE TEMPERATURE: 6° – 8° C.
RECOMMENDED PAIRINGS: Fish dishes, medium-ages cheeses. Excellent with appetizers or as an aperitif.